The impact of President Trump’s announced soybean deal with the European Union is unclear. U.S. soybeans are already sold in Europe and China’s market for soybeans is far larger than the European Union’s. 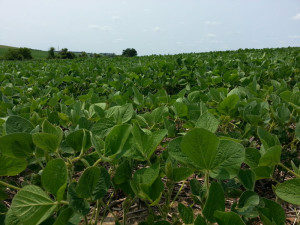 “Hopefully our ability to market our products to other countries besides China will be improved and will at least offset some of the China demand,” says Ray Gaesser of Corning, former president of the American Soybean Association. “US soybeans are less expensive than South American soybeans today, so there’s some good reasons to create new customers and hopefully new relationships for the future,” Gaesser says.